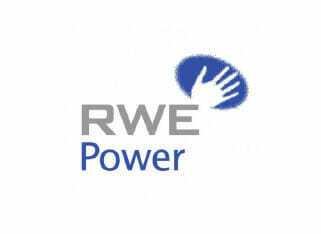 RWE is one of the five leading suppliers in the gas and electricity industry and the German market leader in this sector. At their plant in Niederaußem, located in the western part of Germany, electricity for base load supply is generated from brown coal. This largescale nine block power plant has a gross output of 3,949 MW. 1,000 MW are originated in a BoA- block with optimized equipment technology and an efficiency of 43%. In spring 2012, RWE Power undertook an extensive plant overhaul at Block H of the brown coal power plant. To supply the large volume of water needed to restart the block, an additional demineralisation unit was required. The temporarily solution with a flow rate of 450m3 /hr was needed for 10 days, to treat boiler feed water with a conductivity of <0.1 µS/cm and silicate of <10 ppb. With a combination of Veolia’s Mobile Water Services water treatment plants Berkefeld covered the water demand efficiently and reliably. 18 reverse osmosis units – installed on four trailers and two containers – pretreated the feed water to achieve a salinity of 5%. The conditioned water was backed up in four mobile tanks with a volume of 70m3 each. The demineralisation then took place in four trailers that each had two streams of cation, anion and mixed-bed ion exchangers. Multiple pressure boosting stations ensured an optimised operating pressure. The comparatively high flow rate of 450m3 /hr could easily be achieved by combining different mobile systems from the wide range of Veolia products. Trained service technicians provided continuous on site support to manage the installation and commissioning of the units, without any disruption to the supply.